Generation by generation, the Rio has become an increasingly serious rival to the class-leaders. This fourth-generation model is the best yet, more than capable of tempting buyers away from the Fiesta, Corsa and Clio. It’s all too easy to sound like we’re damning the Rio with faint praise, but this really is a very decent car that does its job extremely well. It’s not quite class-leading in any way, but as an overall package, it has an awful lot to recommend it, and no major weaknesses. If you’re in the market for a supermini, you should certainly give the Rio a look. Voted for by the public as the 2018 winner of Auto Trader’s New Car Awards for ‘Best Value New Car’ and ‘Best Car for New Drivers’. Our favourite engine married to our favourite trim, and all at a very decent price. Average economy of more than 80mpg makes this comfortably the most frugal engine in the range. Not a bad car as such, just too costly to recommend when you can get all that’s good about the Rio for much less. 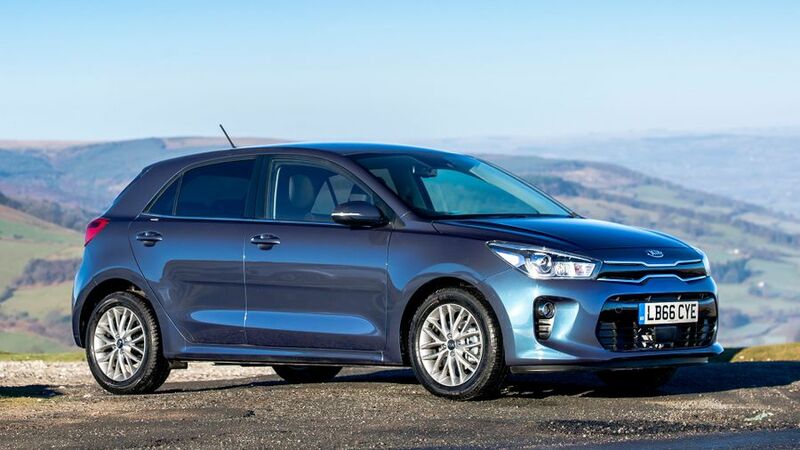 Interested in buying a Kia Rio? The Rio may not stand out like some rivals, but there’s no question it’s a smart-looking little thing. Every model comes with body-colour bumpers, door mirror casings and door handles, but you’ll need to upgrade from basic ‘1’ to ‘2’ trim to get standard alloys, extra chrome trim around the grille, and indicators in the door mirrors. Meanwhile, the top-of-the-range ‘3’ adds tinted glass on the rear windows and tailgate, as well as chrome trim around the side windows. Typically for a Kia, there are very few options, but one that might interest buyers is a premium paint finish. 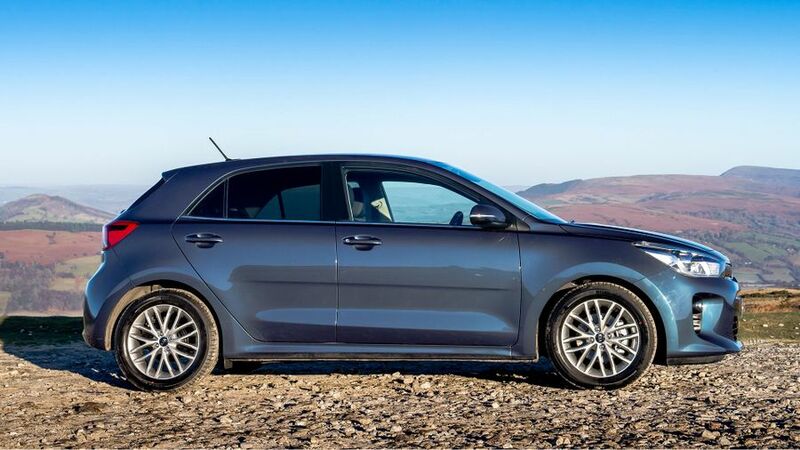 Kia does a fine line in user-friendly cabins, and the Rio is yet another example. The chunky controls and bulbous buttons are pretty much the definition of ‘easy to use’, and it’s fantastically simple for pretty much anyone to settle into the driver’s seat and quickly find their way around. Buyers should be aware, though, that there’s a very clear distinction between the three trim levels, with the materials and finishes becoming much more glamorous with each step up. Basic models have black cloth upholstery, whereas ‘3’ trim brings faux-leather. Likewise, ‘2’ trim has a 5.0-inch touch-screen in place of the more basic car’s 3.8-inch audio display, while the top models have a 7.0-inch touch-screen system with standard sat-nav. The Rio is undoubtedly one of the more practical superminis, and there’s no faulting the amount of room up front, with a good range of adjustment on both the driver’s seat and steering wheel. Admittedly, you can’t quite say the same of the rear, but the Rio is still very good by the standards of its rivals. Only if you try to sit a six-footer behind another six-footer will there be any complaints about a lack of head- or leg-room in the back seat. 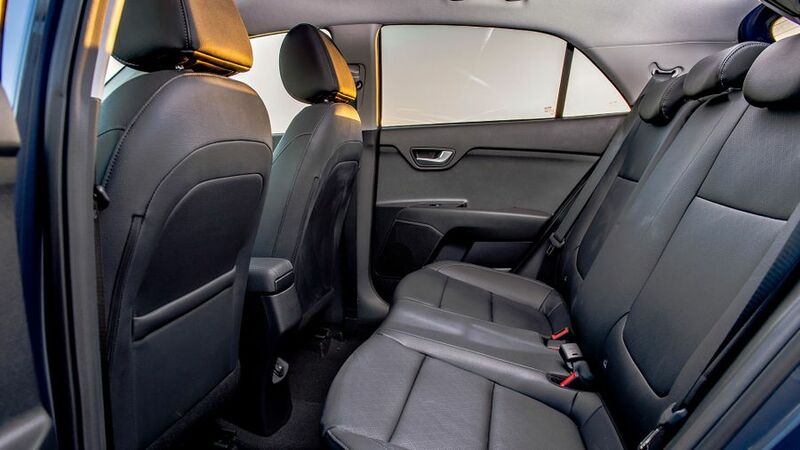 It’ll take four adults in reasonable comfort, although thanks to the centre rear seat being very narrow, the Rio is realistically no more than a four-seater. Likewise, while the boot is a decent size (bigger than you’ll find in a Vauxhall Corsa or Renault Clio), it’s let down by the high sill you have to lift things over. The 60/40 split seats leave a sizeable lump in the floor when you fold them down. In a supermini’s most usual setting – around town – the Rio is in its element. The light steering makes getting around town simplicity itself, much helped by the good view to the front and sides. When you escape the urban jungle, you’ll find the car sits very securely on the road, and even in torrential rain, the Rio felt very sure-footed through the bends and at cruising speeds. Our only disappointment was that the price you seem to pay for that sure-footed feel is a firm ride. 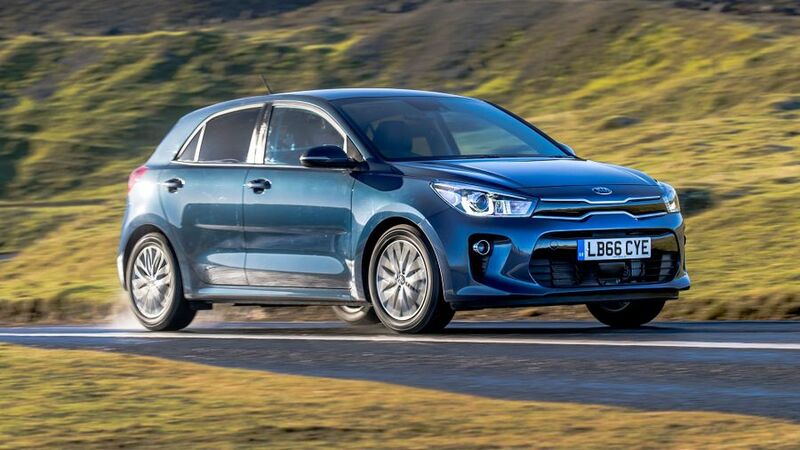 We say ‘seem to’, only because we’re yet to drive a Rio with anything smaller than 16-inch wheels, so our suspicion that the 15-inchers may prove a little more comfortable is yet to be confirmed. Light steering means the Rio isn’t the most rewarding thing to drive, and some may criticise it for being uninvolving, but that’s missing the point on a car like this. Instead, we’ll sing its praises for being undemanding to drive, which will surely more important to most buyers than a bit more steering feel. You’d be forgiven for thinking the Rio’s 100 horsepower turbocharged 1.0-litre engine wouldn’t be up to the job, but it’s one of the car’s best bits, and the perfect engine for the Rio. It pulls well from just 1500rpm and, as a result, always seems to be on your side. It’s plenty quick enough in the ‘Green light Grand Prix’, is more than happy to keep up with the ebb and flow of main road traffic, and has no problem maintaining typical motorway speeds. You can feel a little vibration through the steering wheel at idle, and the engine gets quite noisy when you rev it hard, but neither is unforgivable. Other engines we’ve driven are the more powerful 120 horsepower version of the 1.0-litre engine, and the most powerful diesel engine, the 1.4 CRDi with 90 horsepower. The 1.0-litre doesn’t feel that much quicker in the real world than its weaker brother, and while the diesel has plenty of pull, it’s a heavier engine, so the (consequently heavier) car doesn’t feel any quicker. The 1.25-litre engine, with 84 horsepower, is perfectly functional, but lacks the torque of the 1.0-litre and so needs revving harder. Gone are the days when Kia sold low-cost cars. Nowadays, ‘value’ is the most important word, so a Rio won’t be the cheapest new small car you can buy. However, any model should be pretty cheap to run, with the most economical engine (the 77 horsepower diesel) averaging more than 80mpg on the combined cycle, and putting out 92g/km of CO2. The two 1.0-litre petrol engines are also pretty impressive, averaging more than 60mpg. When it comes to overall running costs, expect the Rio to be broadly similar to its main rivals in areas like depreciation, servicing and repair. 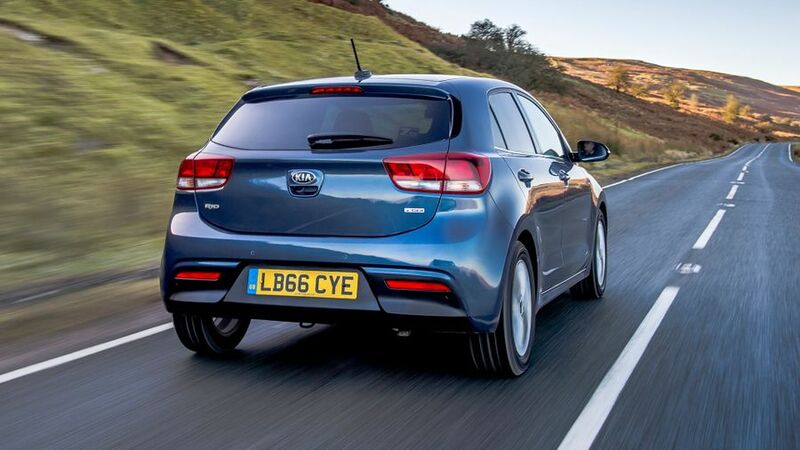 One of the big attractions of the Rio is that it (like every other Kia) comes with a seven-year warranty. However, buyers could reasonably expect to have no need to make use of it. 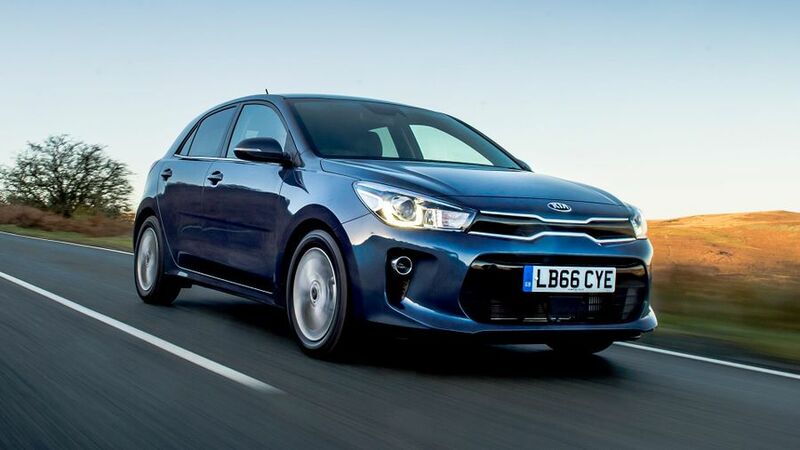 Although Kia only sits just below halfway in the manufacturer standings of Warranty Direct’s Reliability Index, previous generations of the Rio have proved very reliable, and owners on our site have reported almost faultless reliability. The Rio has an impressive amount of safety equipment available, and what’s perhaps most impressive is that it comes as standard on pretty much every model. The only major exception is that the Autonomous Emergency Braking and Lane Departure Warning systems are optional on the most basic ‘1’-trimmed model. Otherwise – like the entire range – these models come with six airbags, ABS, stability control, and Isofix child seat mountings. Safety organisation Euro NCAP crash tested the Rio and gave it five stars with all the optional safety kit, but only three stars without, which is food for thought when deciding which version you want. Even the most basic Rio comes with air-conditioning, remote central locking, electric front windows, and Bluetooth connectivity. However, we think it’s worth upgrading from ‘1’ to ‘2’ trim, which adds electric rear windows, cruise control, a better stereo with DAB, and reversing camera. 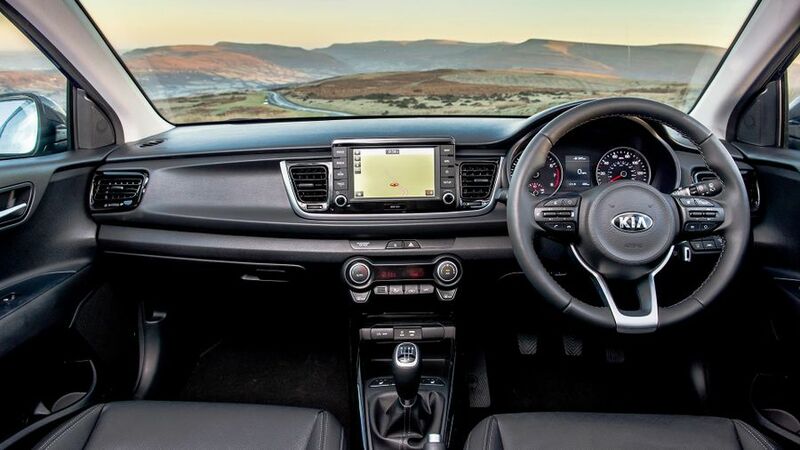 At the top of the range, ‘3’ trim upgrades the air-con to climate control, adds a sat-nav, automatic wipers and the best connectivity (including Android Auto and Apple CarPlay), while both the front seats and steering wheel are heated. The Rio is a classic case of a car that appeals to the head more than the heart. Not only is it spacious, practical and well equipped, it’s also pretty cheap to run and backed up by an excellent warranty. All of which means it’s a very attractive package.